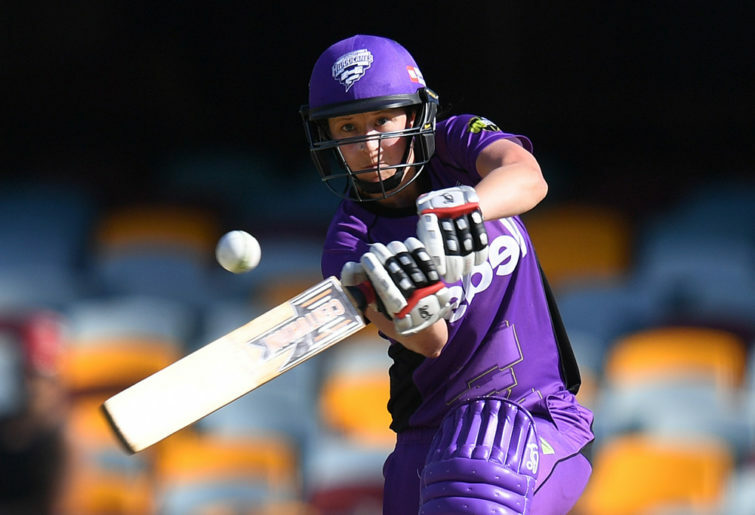 With the Women’s Big Bash League moving to a standalone format next summer, I looked at where the matches might be played. The majority of matches will be played at night with some afternoon matches played on the weekend. A total of 23 matches will be broadcasted with the grand final taking place in December before the men’s tournament takes place. All clubs might play occasional matches at the premier stadiums which will be used for the BBL, however, with the crowd numbers expected for a standalone tournament and the lack of atmosphere expected in a large venue, it may not be viable to open these stadiums for the WBBL. The Strikers shared their home matches during WBBL04 between the Adelaide Oval and the newly redeveloped Karen Rolton Oval. They also played a match vs the Scorchers in Alice Springs. Karen Rolton Oval will host its first International match when Australia plays New Zealand in a Women’s One Day International next month. Glenelg Oval was also used by the Strikers in the early seasons of the WBBL however I would expect the Strikers to continue to play games at Karen Rolton Oval next summer with the possibility of one match being taken away to a regional area of South Australia. Alice Springs is likely to again get a WBBL match. The reigning champions shared matches around Queensland in WBBL04 with matches in Mackay, Cairns, and at The Gabba in Brisbane. While I don’t expect The Gabba to be used for WBBL matches next summer, I do expect the Heat to continue to play matches at Harrup Park in Mackay and at Cazaly’s Stadium in Cairns. I wouldn’t be surprised to see a Heat WBBL match taken to Riverway Stadium in Townsville too. The Heat played matches at Allan Border Field in the early WBBL seasons are most likely to bring those matches back in WBBL05. The Heat launched their partnership with the Gold Coast Suns last year to bring BBL games to Metricon Stadium so again, I wouldn’t be surprised if matches are taken to the Gold Coast. The Hurricanes have played all throughout Tasmania in the WBBL as they use the slogan ‘Tasmania’s Team’. Blundstone Arena has been used by the WBBL team for standalone matches as it is one of the smaller Premier venues in Australia. I expect the Hurricanes to also take matches to Burnie and Launceston again in WBBL05. The Melbourne Renegades played two matches at the Junction Oval in WBBL05 and took other matches to Geelong and Ballarat. Either GMHBA Stadium or the Geelong Cricket Ground I expect to be used by the Renegades in WBBL05 with clubs also taking matches to Ballarat again. There is also the chance of the Renegades taking a match to Bendigo as they did in WBBL01. The Melbourne Stars have tried to make South East Melbourne and the Gippsland Region their own over the past few seasons and I expect them to continue this with the WBBL. The Junction Oval was used by the Stars for the Opening Weekend vs the Sixers and I do expect the Stars to play more games there next summer. Toorak Park and Casey Fields have been used previously by the Stars and I expect Toorak Park’s lights to come in handy with Casey Fields matches being played on the weekend. Stars wicketkeeper Nicole Faltum is from Gippsland and even though the Stars have played BBL matches in Gippsland recently, the Stars girls have never played there – something that I expect to occur in WBBL05. The Perth Scorchers played a historic Double Header at Optus Stadium last summer however I don’t expect them to play matches at the 50,000-seat venue in WBBL05. Perth based matches in recent times have also been played at Lilac Hill and the WACA Ground and I expect it to be the same in WBBL05. The Scorchers took on the Strikers in Alice Springs this WBBL04 and I expect them to share a game with the Strikers. The Sixers are known for taking matches around Sydney not as many matches in Regional NSW. I would expect North Sydney Oval and Drummoyne Oval to headline the Sixers home matches for WBBL05 with Hurstville Oval and possibly a regional match in Coffs Harbour or Wollongong also being used. The Thunder are known for taking matches around New South Wales and into Canberra. The inaugural champions I would expect to play a few matches at North Sydney Oval with the majority of matches being played in Sydney’s western suburbs.